Pregnant or not, I love Chinese food. But I know a certain husband is not so fond of it. He will take me from time to time just because he likes me. :) But in between I like to make yummy things at home to hold me over. 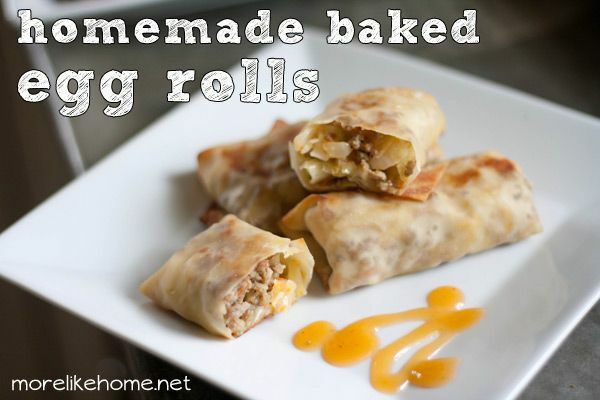 I used a rainy day last week to make up some yummy baked egg rolls! It's easier than you think, and soooo good. You could also use other veggies, bean sprouts, or seafood. Whatever tickles your fancy. Started by cooking the sausage in a large skillet until it browned. 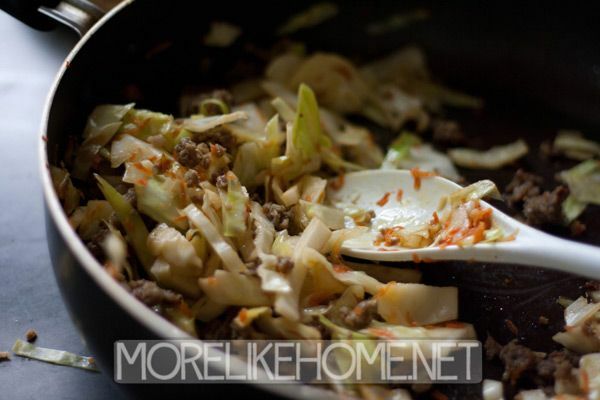 Then dump in the cabbage, carrots, garlic, and soy sauce and cook it about 8 more minutes until things start to soften up. 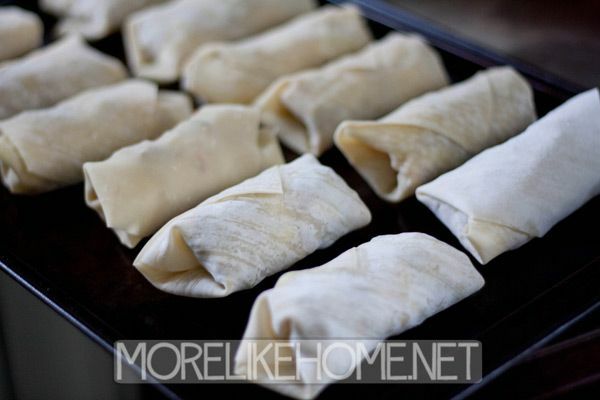 One at a time, put a scoop in the middle of each egg roll wrapper. 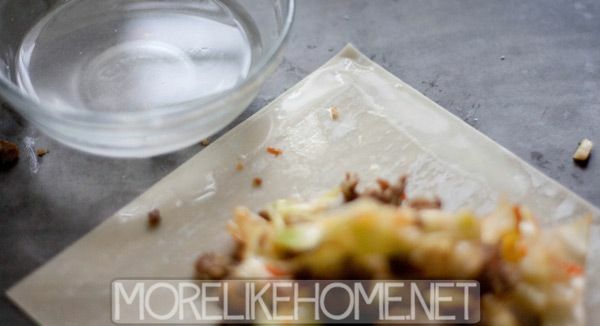 Then dip a finger in a bowl of water and run it along the sides at the top corner to get it wet. It gets sticky where the water touches so it can kind of glue itself together when we roll it. 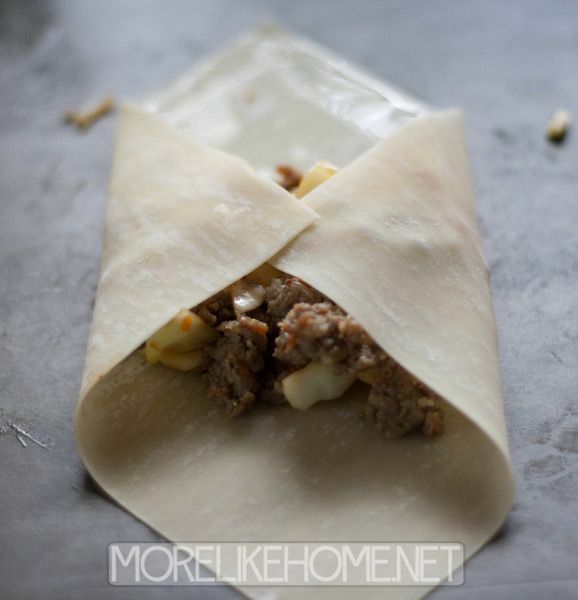 Fold in the outside corners. 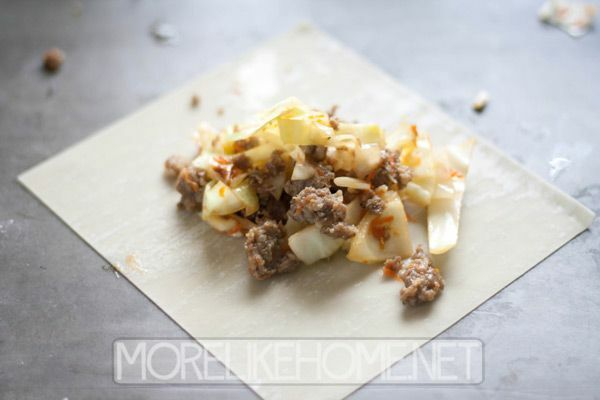 Then fold up the bottom corner and roll the whole thing toward the top corner to make a nice little bundle. The sticky corner should hold it closed. 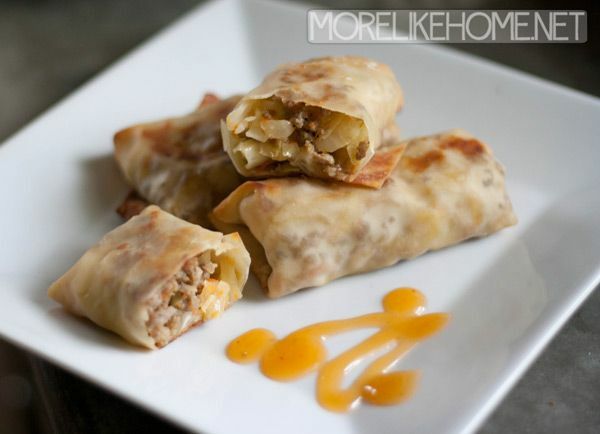 Serve them up with some sweet & sour sauce and enjoy! If you can't eat them all, no problem. They actually freeze really well. Just pop them in back in the oven to warm them up again. I made two cookies sheets of them and I'm the only one who will eat them, so these should last a while. :) They are great because I can just pull 2 or 3 out of the freezer for lunch when N isn't home. Yum yum! Not a bad snack for a rainy day. 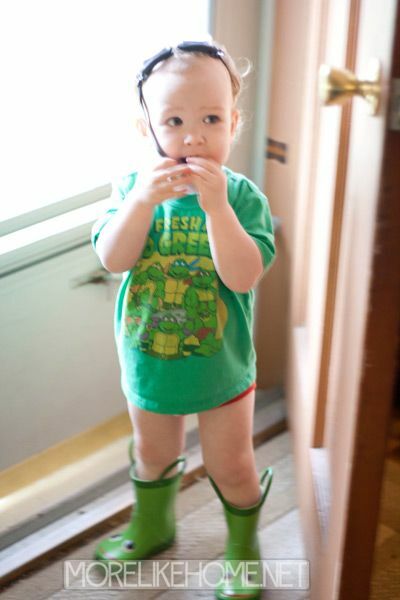 B was prepared for the downpour with rain boots and goggles. Although he couldn't be bothered with pants. And the dada came home for lunch and took his pants-less boy out to play with "mmmmbellas." 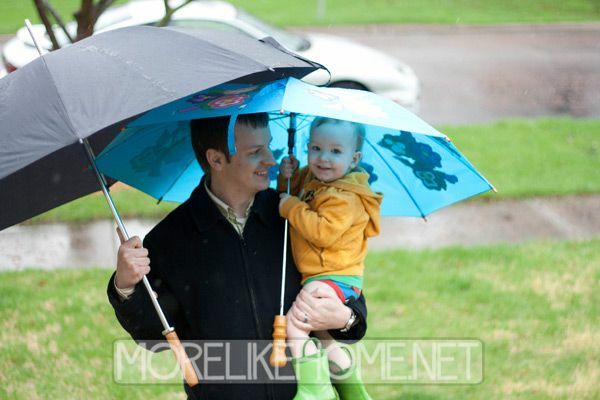 That's a good daddy, right there. Those look tasty! Thank you for sharing! 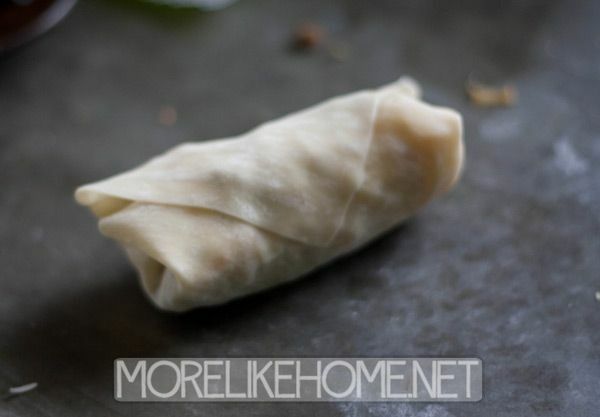 Pinned your eggrolls for later use! They look great - and love that they're baked!